DJ Soul T Nuts » Wanna go to Ibiza in September? Wanna go to Ibiza in September? 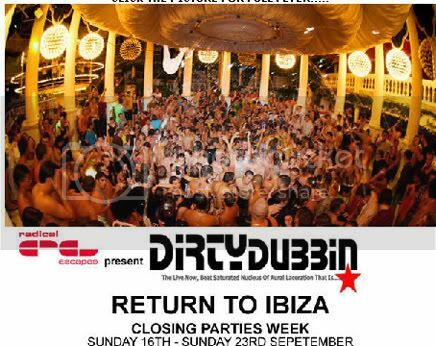 Join Dj SoulTnuts & the rest of the DirtDubbin crew this September in Ibiza. For more info on the trip of a life time, click on the E-flyer. This entry was posted on Wednesday, August 8th, 2007 at 7:46 am	and is filed under Events.